Nice park which, combined with Goethe Park to the southeast is nearly 300 acres or ~3 miles of pleasant biking and walking trails, and a nicely manicured memorial garden. ~4 miles west of the city and only 2 miles from Tegel aiport. 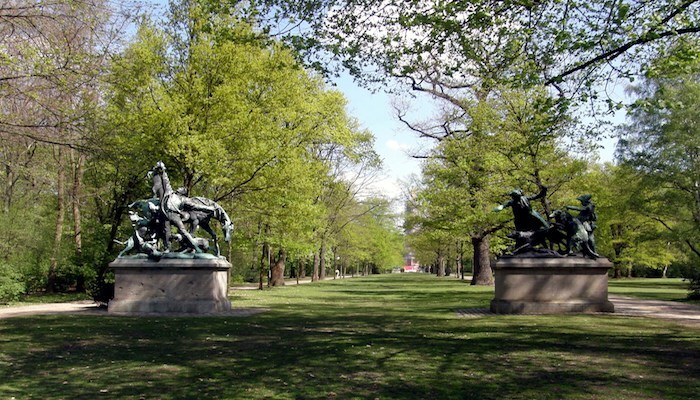 Can be combined with Volkspark Jungfernheide, which is 1.5 miles east. Access: Rehberge metro. Nice 300 acre park with sporting facilities. Great option near Tegel airport. A path-packed melange of wooded rolling hills, grasslands, a Baroque fairy-tale fountain, and two good-sized hills made from surplus rubble. Berlin’s oldest park. Combine with nearby Prenzlauer Berg neighborhood. Just north of the airport. Wonderful waterfront run along the Tegler See. Run across Borsigdamm towards Greenwichpromenade. 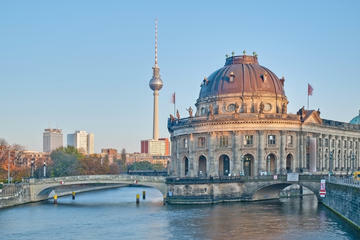 Once past the mooring sites, you’ll reach the beautiful park of the Tegel Palace. Just past Villa Borsig via Schwarzer Weg, you’ll reach the Tegeler See and a beach & swimming site. This out and back is just over 4 miles, and can be combined with trails in the Tegeler Forst. This is a huge park about 10 miles west of the center of Berlin. Closest public transport access is Spandauer, 1.5 miles from the park. It is nearly 4 miles from the southern end of the park to the northern end. There are tons of trails, with a good variety of woods, fields, and waterside paths. Good maps and loop options right off the parking lot at Schoenwalden Allee. 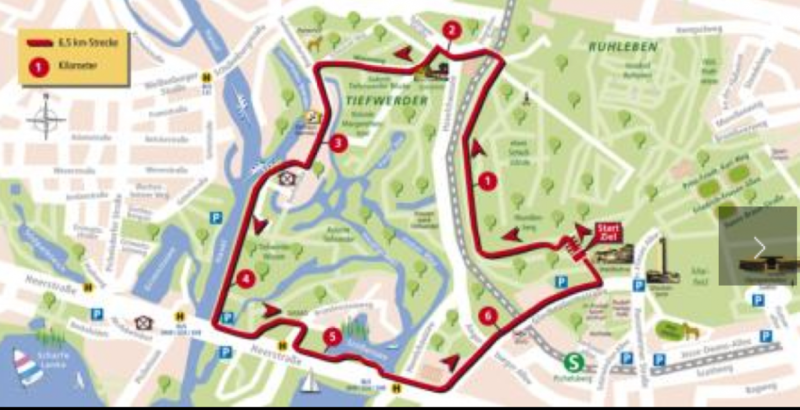 A couple of highlights are to run along the stream paths one way, and then along the Brandenberg Wall path on the way back. If 10+ miles of running in this park isn’t enough, Tegeler Forest, with its more wooded, rugged trails, is just to the east. Spandauer Forest is a good running option near Berlin’s international airport.